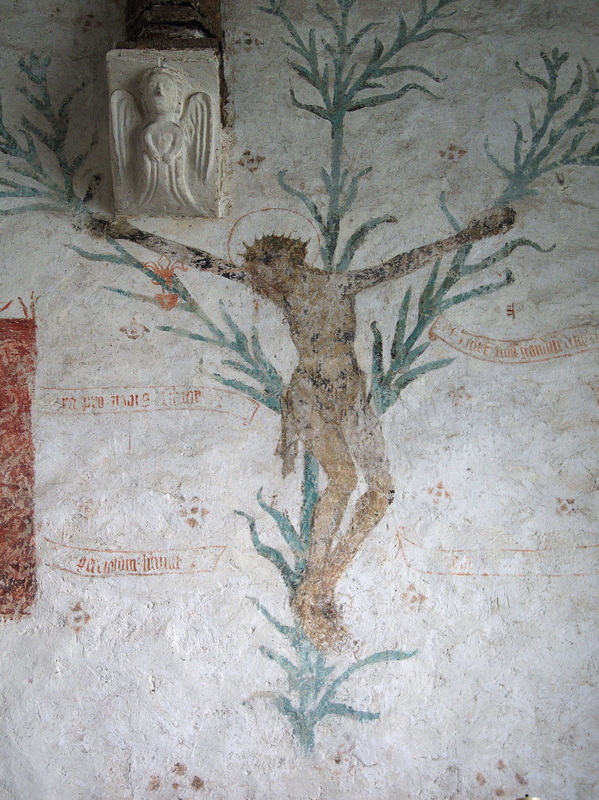 Less than an hour’s walk from here is this remarkable mediaeval wall-painting, one of only two in the world, depicting the crucifixion on a ‘lily’ cross. Anonymous, Lily Crucifix (c 1450), ?tempera on plaster, Godshill Village Parish Church, Isle of Wight. In my review of The Cambridge History of Painting in the Classical World, I mentioned the history of this. 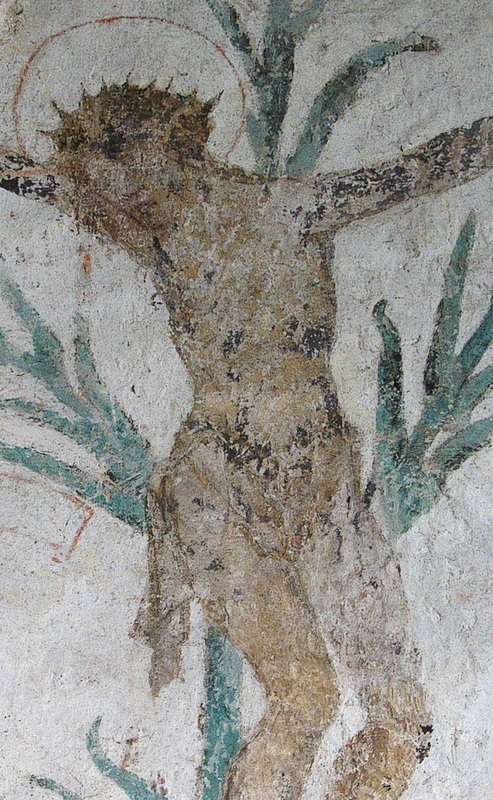 Like many churches in the UK prior to the Reformation, it had a wall-painting, unusually showing this Lily crucifix. This was painted during the early years of the Renaissance, not long after Brunelleschi ‘discovered’ linear perspective, and soon after the death of Jan van Eyck. When King Henry the Eighth – or more particularly his right hand man, Thomas Cromwell – had all churches stripped of such decorations, someone had the presence of mind to cover this one with whitewash, and preserve it. It was rediscovered in 1842, and its disguise carefully removed. Anonymous, Lily Crucifix (detail) (c 1450), ?tempera on plaster, Godshill Village Parish Church, Isle of Wight. Although it has suffered from this mistreatment, and looks in need of some careful conservation, it is still a remarkable image, transmitted through more than 500 years of seasons, lives, and events. We have some very old trees over here – some whose siblings were used to build warships for the Royal Navy during the American War of Independence – but there aren’t many that are as old as this, frail image. Posted in General, Life, Painting and tagged crucifix, Godshill, Isle of Wight, lily crucifix, mediaeval, painting, wall painting. Bookmark the permalink.